Since I seem to have fallen into a theme about pictures this week, I thought it was a good time for a Favorites Friday about art. I love wandering through art museums, and I’m lucky that I’ve been to some really good ones. 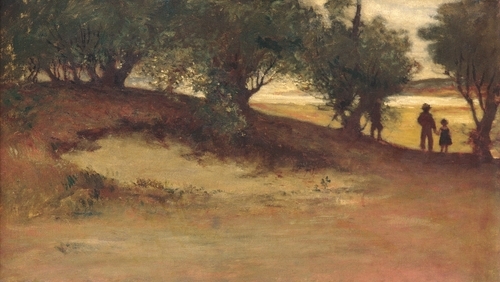 The paintings that most appeal to me tend to be ones that feel like they have a story. Some, of course, are very specific stories, like a scene from the Bible or mythology, or something with a clear narrative. But I often find paintings that have a setting or a person that feels as though there must be a wonderful story behind them. I try to make notes of paintings I like while wandering a museum, so that I can find them online later. Here are a few of my favorites. I just love her smile. There’s so much character in it. She may be a goose girl, but she’s confident, maybe a little saucy, and I bet she knows a good joke too. Bouguereau is one of my favorite painters. The most expensive book I own is an enormous one about his life and work. I’ve never read it, but I’ve spent plenty of time pouring over the reproductions of his paintings. He does wonderful things with light and detail, and if you look at enough paintings you recognize his regular models, so they feel even more like characters! Wouldn’t this be a wonderful setting for a story? Who lives in the castle, and what brings so many boats onto the lake, and does anyone ever go up and explore those mountains looming in the background? I love that we only get a glimpse of the two people in this picture. And I’d love to know where they’re going. This story I’m pretty sure I’ve read. It’s in The Little White Bird by J. M. Barrie, with a lovely comparison between the fun to be had with a fancy yacht vs. a simple stick-boat and some imagination. This man clearly needs to be the hero of a good naval epic. 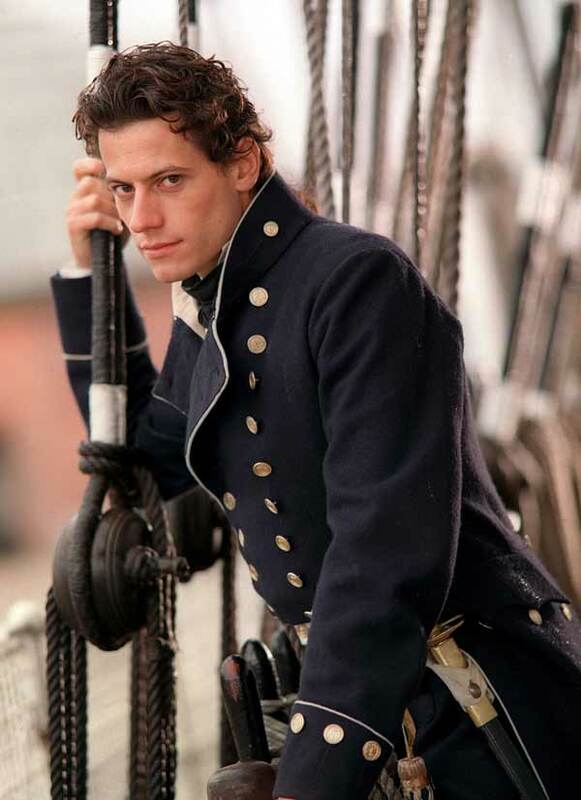 In fact, he bears an astonishing resemblance to Ioan Gruffudd’s Horatio Hornblower! 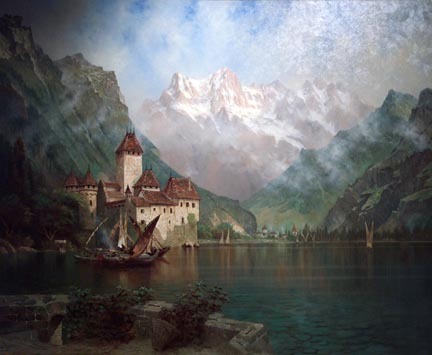 The Castle of Chillon plays a role in Henry James’s Daisy Miller. It is first mentioned in the first paragraph. Is there any possibility you could let us know in which museums or galleries you saw these paintings – it would be wonderful to see The Goose Girl for real. I would also LOVE to see The Goose Girl for real, but unfortunately, that one I’ve only seen in a book on Bouguereau’s paintings. The book tells me she’s at the H. Johnson Museum of Art at Cornell University. I’ve really seen the other four: Dent du Midi Castle is at the Crocker Museum in Sacramento. 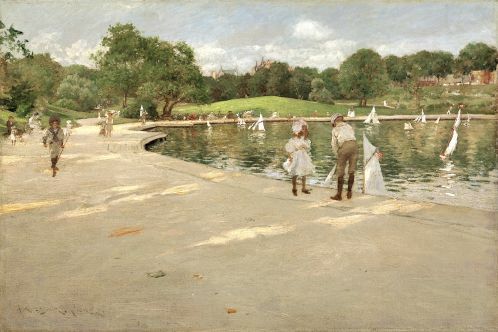 The Sandbank is in the Metropolitan Museum of Art, as is the Lake for Miniature Yachts. 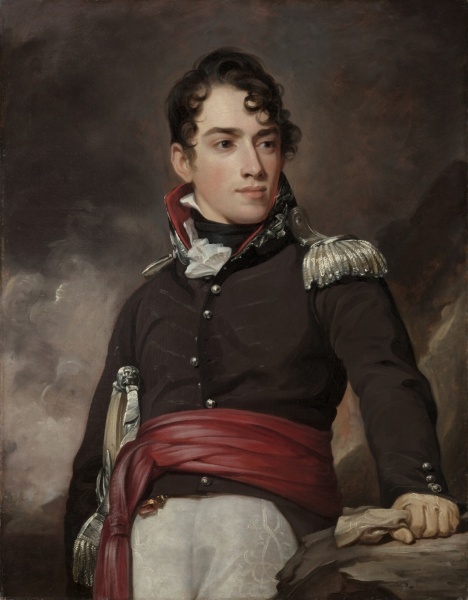 And Jean Terford David can be found in the Cleveland Museum of Art. The Lake for Miniature Yachts reminds me of Spreckles Lake in Golden Gate Park in San Francisco. The edge looks man-made, but the surroundings look natural, just like in S.F. The Crocker Art Museum in Sacramento has several lovely paintings by Edwin Deakin in its collection. I wonder if there is one place where most of his are displayed, or whether they are scattered between museums and private collectors? I love that pond in Golden Gate Park! I liked to go write over there when I was going to school in San Francisco. Maybe that gave me an extra incentive to like this painting!